I hope your all smiling and in good health. 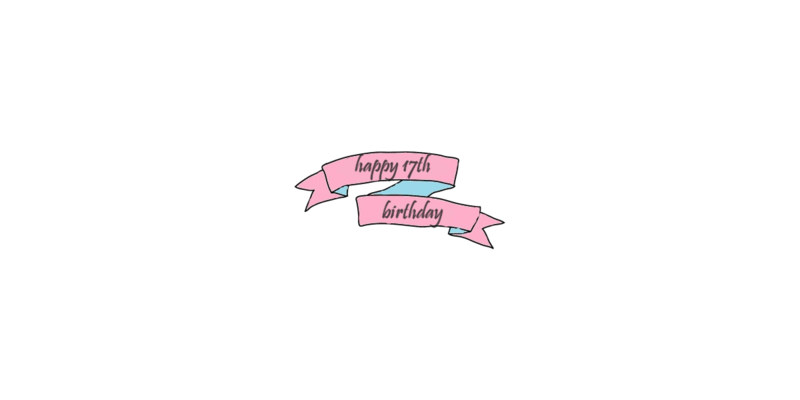 As you may or may not know yesterday was my birthday – I turned 17. YES 17. I mean where have 17 years of my life gone. Its always a little bit scary knowing your a year older or if your me your just so happy its your birthday I mean I love my birthday more than anything and I don’t even know why? I thought it’d be a good idea just to put 20 things I’d like to do before turning 18. As this would be amazing to look back and reflect on all the things I’ve done. Also I have some very exciting blog posts coming soon so keep an eye out! Start eating healthy and exercising often. Go to one of the largest music festivals. Own a selection of high end make-up and cosmetics. Get a change in hairstyle&colour. Learn how to cook successfully. Attend exciting blogger events and meet other bloggers. See The Weeknd&Jessie J in concert. Get a place in university. Officially start my YouTube channel. Find new people, who I can be friends with forever. That’s 20 things. Wow. I’m hoping to tick as many of these off as I can before I do turn 18. What’s something you really want to do? Comment Below. « September – I love it, I want it!